And by Turkey Dressing, we don't mean the kind you eat! Thanksgiving a much more fun in costume! 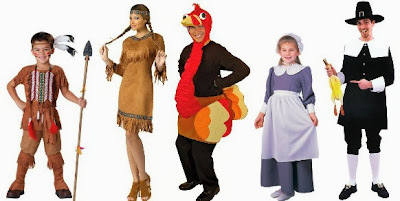 We have a wide variety of fun costumes for the Thanksgiving Holiday. If you need to dress up for school or like to have some festive costumes around your holiday table, we have Native American Indian Costumes, Pilgrims, and even a few Turkeys all available in child and adult sizes.